When I first broke into the graphic design profession in 1984, I already had two Graphic Standards Manuals under my belt as an RIT (Rochester Institute of Technology) graduate. This type of work continued at Selame Design Associates in Newton Lower Falls, Massachusetts. Selame Design was a pioneer in the field of visual brand identity with national clients such as Kodak, Veryfine Juices, Amoco Oil Company, Pinkerton Security and FRAM Oil Filters. Manuals consisted of a 3-ring binder with separate, offset printed sections for guidelines specific to the corporate mark configuration, color palette, logo variations for printing with one or two colors, how the logo would 'knock-out' of a dark background, correct and incorrect uses, stationery system, signage systems, vehicle graphics, etc. We were working in the pre-computer era, and all of the artwork was created as paste-up, and required a great deal of handwork. The final sections were offset printed, but in incredibly small quantities. Because color is such an integral part of a visual brand system, the final product required near printing perfection. Because of the work involved as well as the cost of production, each manual had a value of several hundred, if not thousands of dollars. At the same time, there was an expectation that the shelf life of the guidebook would be several years. Such a lifespan was not a problem during the early to mid-1980s. The pace of marketing change was much, much slower. Consider the fact that most printed collateral was expected to remain relevant for at least two years. Things are incredibly different today. Companies suddenly appear, linger for a brief period and then either reorganize, merge, re-brand, or as often is the case, disappear. 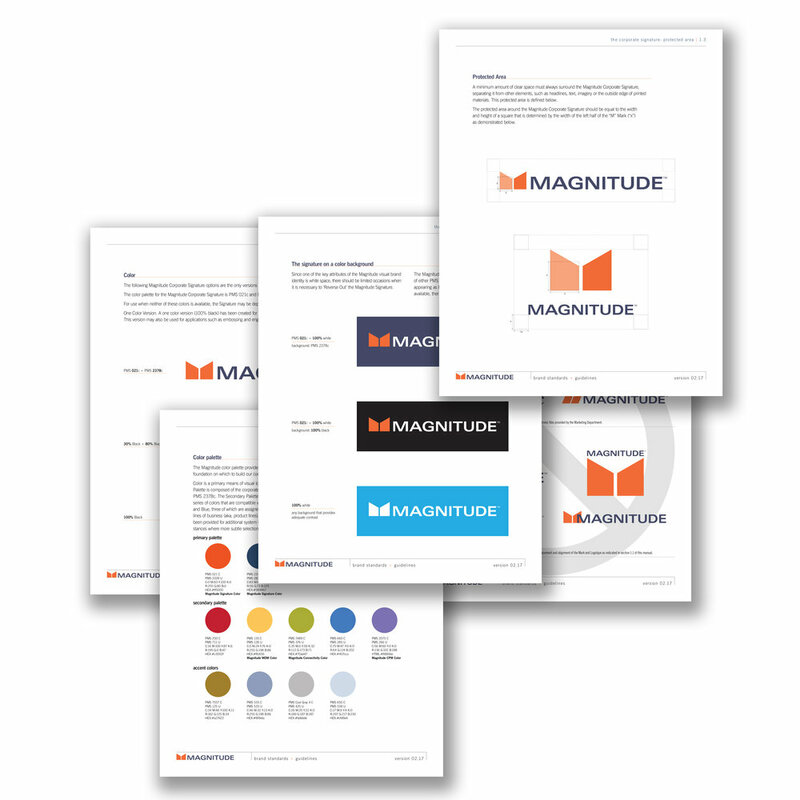 This marketing environment does not, however, eliminate the need for a set of brand guidelines. In place of the physically cumbersome binders, the majority of manuals exist as PDFs, carefully positioned within specific corporate servers for easy access to the many widespread marketing professionals who participate in the creation of brand-consistent materials. To me, the main difference with today's system of developing brand standards versus those used almost 40 years ago, is the ability to make adjustments to the guidelines as the brand evolves. Because it is far more efficient, faster and less costly to update a PDF, yesterday's ironclad set of hard and fast rules is now part of a 'living' and 'learning' document. Identity system updates should not be made just for the sake of making a change. However, over time, as visual brand exploration widens the view, there is no longer an excuse for NOT documenting positive progress. – Doug.